The Mustang was a triumph, testament to its designer Edgar Schmued. 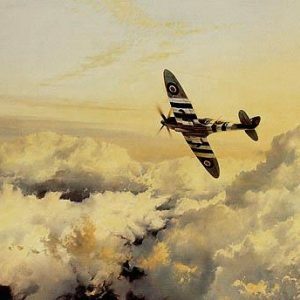 It was fast, manoeuvrable, hard-hitting and, by the time it was combined with Rolls-Royces’ legendary Merlin engine, was capable of outperforming anything the enemy could throw at it. The Mustang was a triumph, testament to its designer Edgar Schmued. 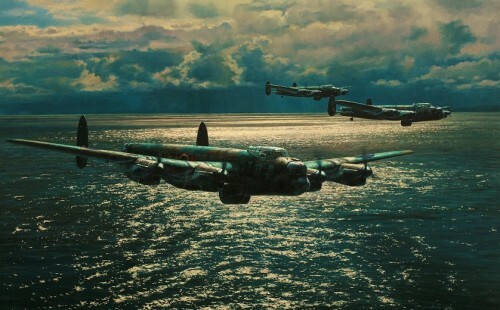 It was fast, manoeuvrable, hard-hitting and, by the time it was combined with Rolls-Royces’ legendary Merlin engine, was capable of outperforming anything the enemy could throw at it. When P-51s first appeared in the skies over Berlin, Hermann Goering was reported to have announced that he knew then the war was lost. A special new breed of men flew the Mustang as the Allies pushed for victory in Europe. Tough, supremely confident, determined, and gloriously brave; it was an era that belonged to them and the P-51 helped produce some of the greatest Aces of WWII. Such iconic pilots as George Preddy, John Meyer, Don Blakeslee, Kit Carson and Bud Anderson scored all or most of their victories in this thoroughbred fighter. 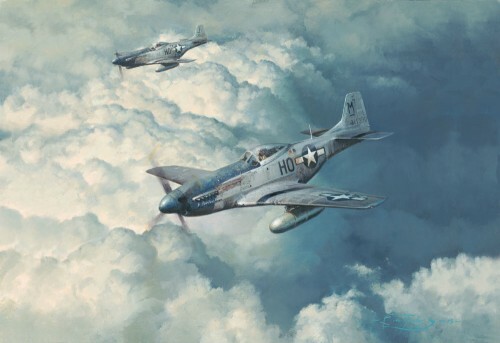 To honor the heroic pilots who flew and fought in this iconic machine, Robert Taylor has chosen this classic portrait, completed with all of his usual mastery of his craft, in tribute to all USAAF units that flew the Mustang. Set against a dramatic bank of clouds, Looking for Trouble bears all the hallmarks of a timeless Taylor masterpiece. 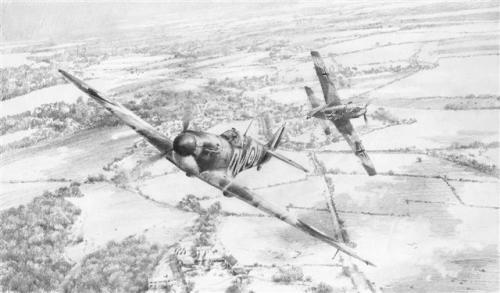 P-51Ds of the 352nd Fighter Group with full long-range tanks slung under their wings, head out from their forward base in Belgium on an extended sweep east of the Rhine crossing on the lookout for enemy aircraft, in the spring of 1945. This historic edition carries the original signatures of iconic USAAF pilots who flew this magnificent aircraft in Europe during WWII. 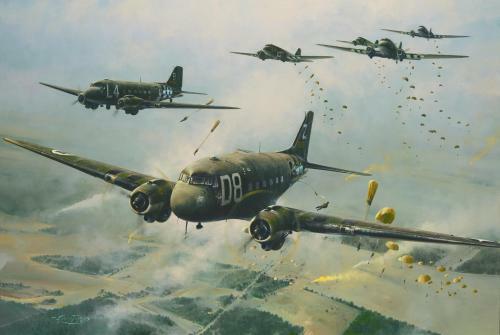 The pilots included represent nine different Fighter Groups, covering almost all of the European Theatre of operations, giving great meaning to this release and providing enthusiast with historic collector’s item.